When we first heard that Scandal season 7 episode 14 was entitled “The List,” we had utterly no idea that the story was going to become anywhere near as dark or as disturbing as it ended up being in the end. Basically, this list was used by perverted predators in power in order to target women in Washington they found attractive. One particular member of the list in Alicia found themselves a part of it, and then tragically killed herself as a result of it. This is what led to Olivia Pope getting involved courtesy of the deceased’s father. This was a powerful story for the Me Too era, but also beyond that this was a chance for the series to actually wade more into nostalgia with Olivia taking on something akin to a case-of-the-week story. There was a powerful moment within this story for Olivia and Fitz; while dealing with the list, Fitz did clearly start to question as to whether or not he crossed a line and forced Olivia into something on the campaign trailer. She said that wasn’t true. She and Fitz worked together in order to help get some justice for Alicia and, in turn, try to change the culture in Washington. This wasn’t the old Olivia/Fitz, but it was something new and therefore something that was still nonetheless really exciting as a result of that. Mellie was set to introduce a bill about workplace sexual harassment after the fact. On a different note, is Mellie and Jake going to be an item at some point in the future? There was a moment between the two of them where they held hands but soon after that, Mellie pulled away and then showed no interest after the fact. 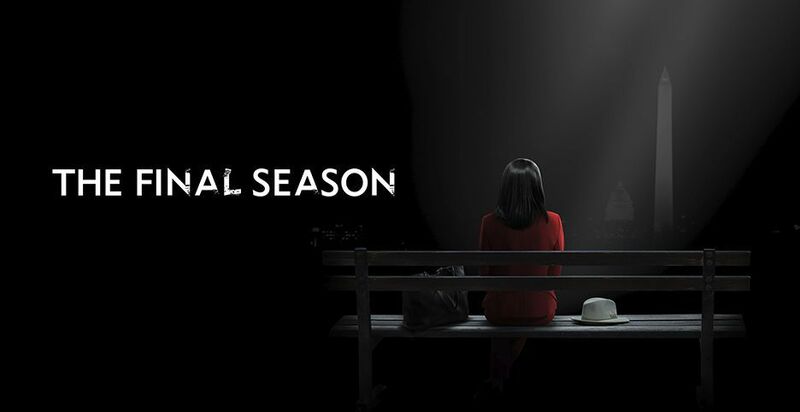 Related – Want to see the Scandal return date following tonight’s new episode? As for some of the other events of the episode, one of the biggest things to note was the continued investigation in order to determine what exactly happened with the Air Force Two accident. The good thing about this storyline was that it paired up Abby and Olivia again, almost as a nice reminder of what their relationship was like way back when. Olivia admitted to Abby that she understood why she couldn’t blame the team for what happened. She was still fighting for Mellie despite what happened with her job; she was going to get to the bottom of what really happened with the plane crash. Abby agreed and we imagine that their collaborations could be a key part of some upcoming episodes. Is Charlie working with Cyrus? A virus was found on his laptop and that spelled trouble. To be specific, Charlie was arrested moments later and it was clear that he was somehow set up. There is a special prosecution assigned to the case … and that really spells even more trouble. Scandal season 7 episode 14 was one of the most powerful ones of the entire series, at least in terms of delivering some big surprises coupled with some interesting character moments. What did you think about Scandal season 7 episode 14 as a whole? Be sure to share right now in the comments!